NBCUniversal International Networks-owned, E! 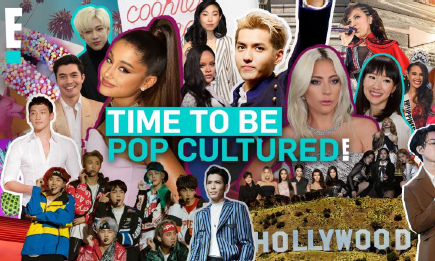 Asia has launched a campaign, called “Be Pop Cultured”, for its online site. The multi-platform campaign aims to feature quotes to test audiences’ knowledge with pop culture references. Reflecting E! online’s positioning as “in-the-know” with entertainment news, the campaign will curate entertainment and lifestyle content driven through an Asian lens. This includes digital content featuring an assortment of digital lifestyle video series spotlighting Asian stars and Hollywood celebrities in Asia. In a statement to Marketing, an E! spokesperson said that the uplift in traffic to E! online Asia socials and website will be accounted as ROI. The campaign was also managed in-house by the E! Asia team. Running in markets such as Singapore, Malaysia, Indonesia, Philippines and India, the campaign will be on until 12 April. Christine Fellowes, managing director, NBCUniversal International Networks, Asia Pacific said the campaign is a “fun” way for the company to engage with consumers and those who are oblivious to pop culture references, with a play on the double meanings some pop culture references have. “From Hollywood to Hallyu, E! Online Asia has you covered for all the things that you might be missing in the entertainment realm,” she added. Bangkok’s events scene unscathed by political tension? Former Groupon CEO Danny Yeung, who left the position earlier in May, has joined DNA biotechnology company Prenetics as its CEO an..
"We have got all the ingredients needed to do amazing work – a deep pool of young talent, a strong client portfolio and a collabor..